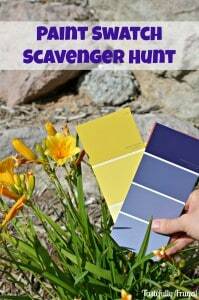 Hey everyone I’m Sydney and I share recipes, crafts and budget friendly decor ideas over at Tastefully Frugal. 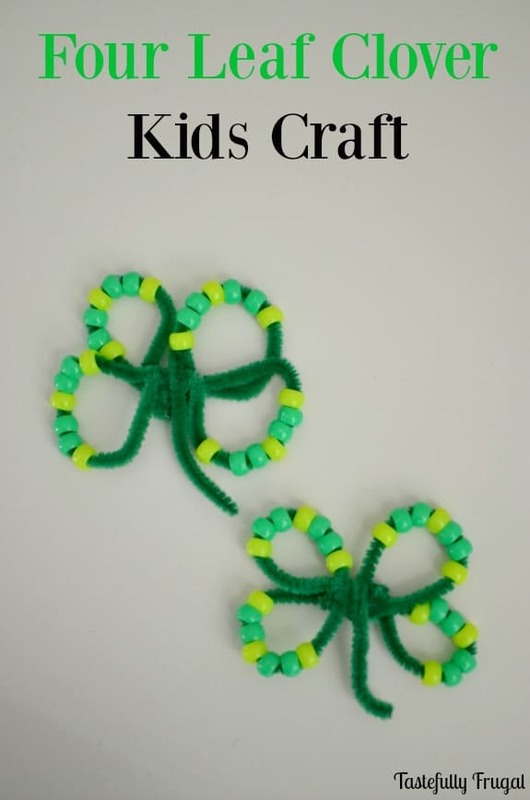 I’m excited to be here with you today to share a craft for you to do with your kids this St. Patrick’s Day that’s not only festive and fun but also helps little ones develop their fine motor skills and pattern recognition. Don’t you think holidays are so much more fun after you start having kids? Before I had my boys the only holidays I really celebrated were Thanksgiving and Christmas. Now, no matter what the holiday, we find ways to decorate and celebrate. Finding ways to intertwine learning with fun is something I try hard to do on a regular basis with having toddlers at home. These four leaf clovers were no exception! We had fun working on colors as we sorted out the beads, numbers as we counted them and patterns as we put the four leaf clovers together. 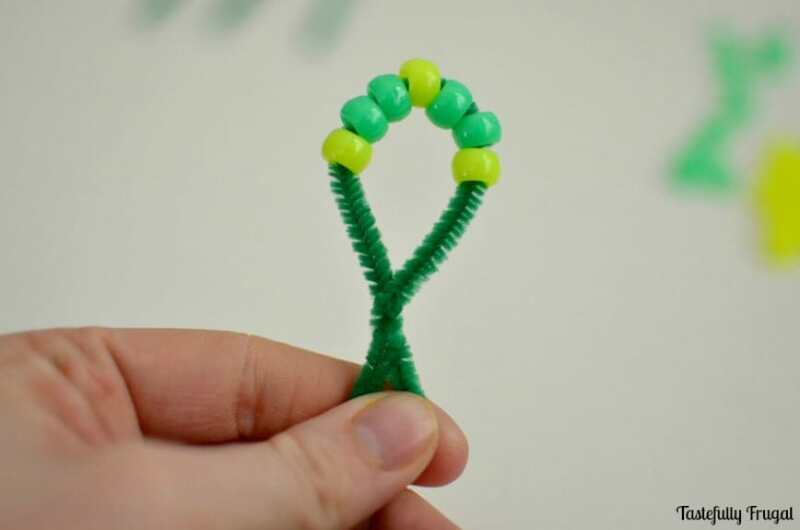 Most of this project kids can do on their own (all of it if they are older), but you may need to help with cutting the pipe cleaners and tying everything together. 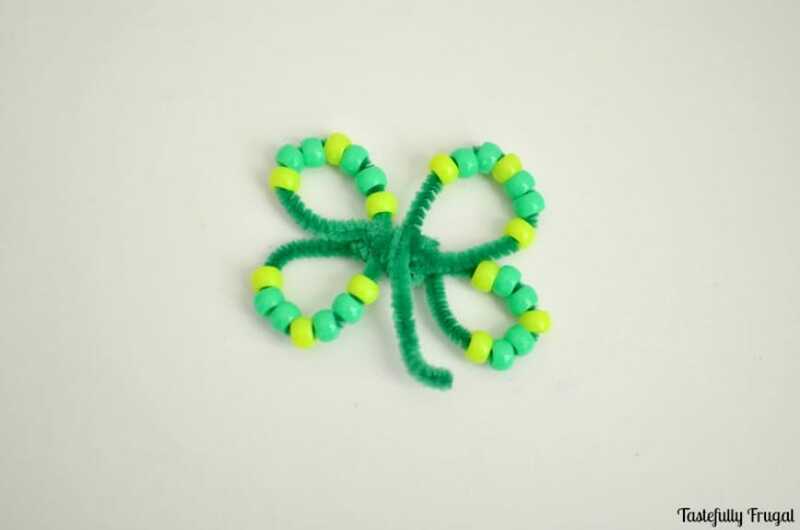 Cut two pipe cleaners in half so you have four pieces total. 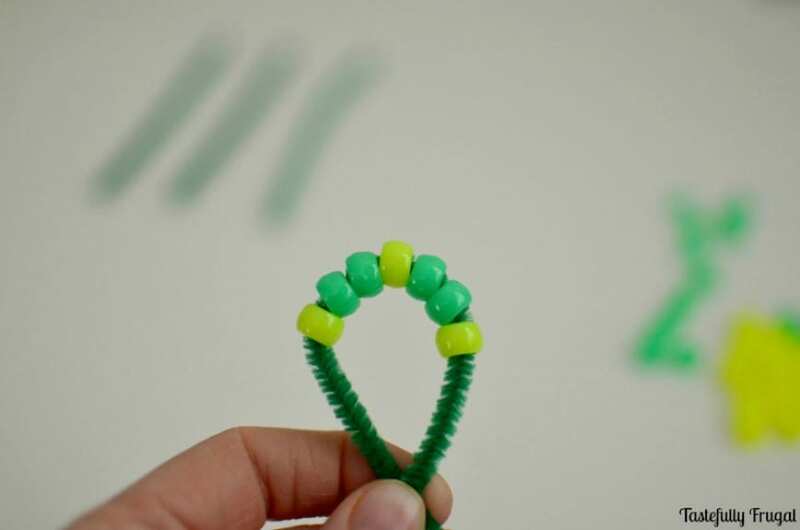 String beads on to pipe cleaner in this order: 1 yellow, 2 green, 1 yellow, 2 green, 1 yellow. 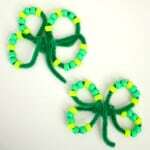 Fold pipe cleaner into the shape of a leaf and twist ends together. Repeat steps 2 and 3 with remaining three pipe cleaners. 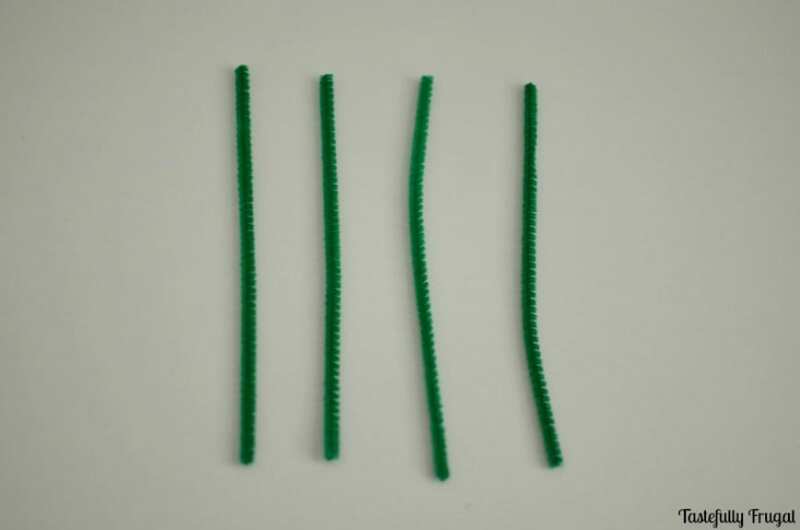 Cut a third pipe cleaner into thirds. 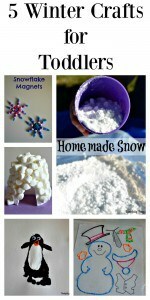 You can also hot glue a magnet on the back (like I did with these snowflakes) to make magnets to hold other masterpieces kids create on your fridge.